Label founder, Clive Ingredients continues to impress his mark on drum and bass with an affinity for the deeper, more soulful stretches of the genre. A master in the booth; his DJ sets are a treat of refined, non-stop rollers. Having conceived Ingredients Records in 2009, equipped with a strong concept to represent the deeper side of the genre and a personal desire to propagate the scene with his sharp ear for A&R; the astute label boss, who used to go under the name 'Dj Psylence', engendered the popularisation of breakthrough artists Jubei, Krakota, Villem, Foreign Concept, Ruffhouse, Dub Phizix, Response, Skeptical, Arcatype & Dead Man's Chest. 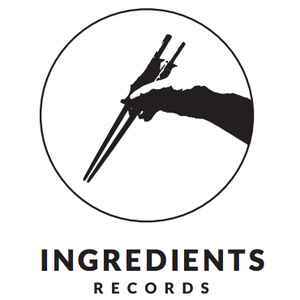 The inspired label boss is back with renewed vigour in 2016; setting out to reclaim Ingredients Records’ place alongside the greats of the genre once again. There's usually a recipe with picture inside the sleeve! Allergy advice : may contain vibes !